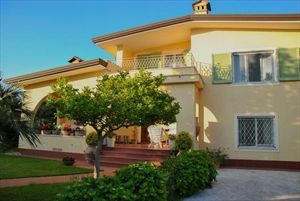 A spacious detached villa (600 sqm) of classic style is located in the central area of ​​Forte dei Marmi within short distance of the sea. 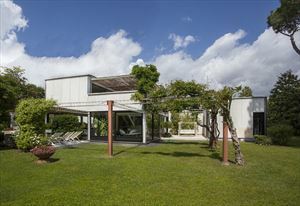 The house is surrounded by a large garden (3000 sqm) full of trees and flowers. 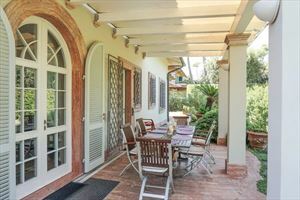 There is an easy access to the seafront from the garden. 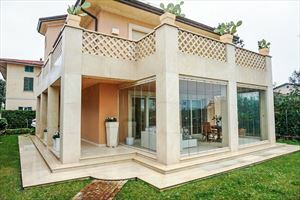 The property benefits further from having a gated parking area for several cars, utility area, portico with a large dining table, a separate annexe with fitted kitchen and laundry room. 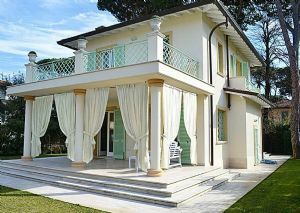 The villa is equipped with volumetric and perimeter alarm, air conditioning, internet Wi-Fi, satellite TV. The gate of the parking has an automatic control system. 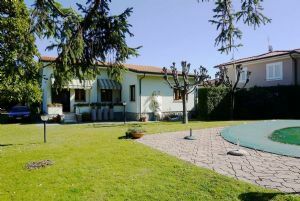 The ground floor consists of a living room with fireplace, billiard room, dining room, kitchen with a separate exit to the garden, pantry, bedroom with two single beds and a private bathroom with shower, guest WC. On the upper floor are 3 suites with double beds and private bathrooms with showers, 1 bedroom with bunk bed and balcony, 1 double bedroom and a bathroom with a tub. The mansard has 1 bedroom with a bunk bed and a bathroom with shower, 1 double bedroom with a bathroom with shower. 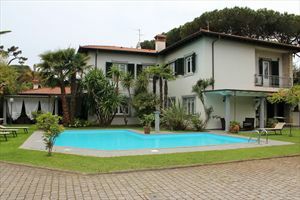 In total the house has 8 bedrooms and 8 bathrooms.